MMA8452Q 3-axis, 12/8 bit accelerometer connected on the 1st I2C bus. By convention, the axes of the accelerometer are re-mapped in the API from their manufacturer assignments onto the standard robot frame of reference (x forward, y laterally left, z vertically up). These are marked on the PCB. A 0.1 Ω 1206 resistor (Schematic ref. 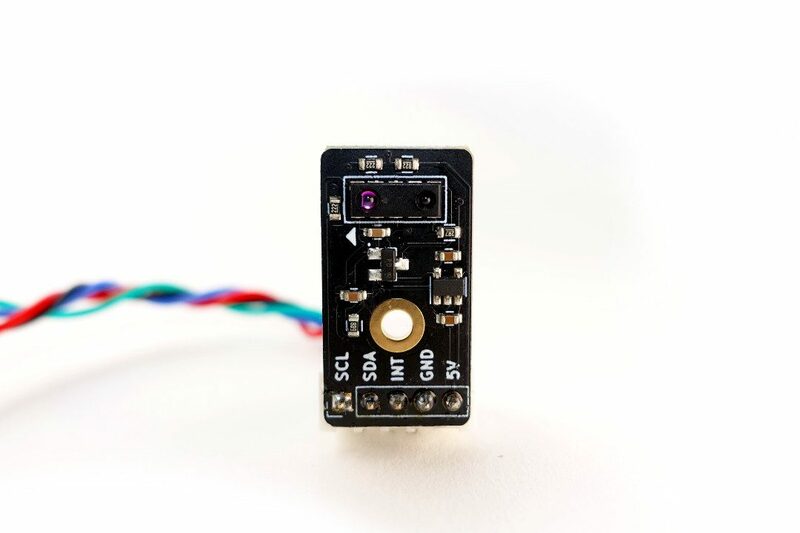 R7 to R14) is attached from the Servo low-side to ground, and then to a GPIO on U1 for all motor channels except channel 9 (used for the Eyes). This permits motor current sensing, as a proxy for exertion/force/torque. Note that add-ons such as the Raspberry Pi Camera don’t interact with Rick so aren’t documented here.